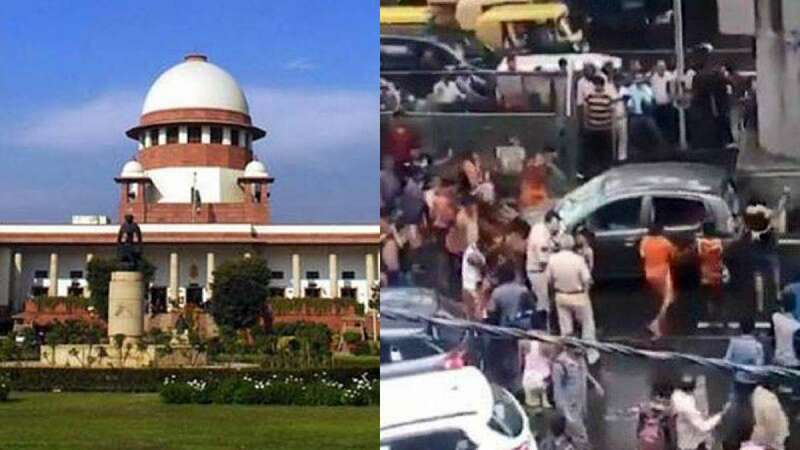 New Delhi : The general anguish over vandalism by Kanwarias reached the Supreme Court on Friday as it expressed serious concern over the increasing incidents of lawlessness and vandalism by sectional and religious groups. As a bench of Chief Justice Dipak Misra, Justice A.M. Khanwilkar and Justice D.Y. Chandrachud expressed concern over the issue, Attorney General K.K. Venugopal referred to the violent acts by the Kanwarias over the last two days, including the incidents of attacking and over-turning of vehicles. Venugopal said every now and then something was happening and suggested that rampant vandalism cannot be curbed unless the District Superintendent of Police (SP) was made personally responsible and accountable to deal with such instances of deliberate destruction and damage to public or private property. As Venugopal mentioned the Kanwaria incidents, Justice Chandrachud pointed that the national highway connecting Allahabad with Varanasi is blocked due to these Shiva devotees. Kanwarias are Hindu devotees who embark on an annual pilgrimage to collect water from the river Ganga and transport it to various temples dedicated to Lord Shiva, for his bath, during the Shravan month of the Hindu calendar. Sharing the concern, Chief Justice said that all those who vandalise others properties why don't they burn their own houses. "You burn your own house," CJI Misra said. Referring to the top court's 2009 directions to make the leaders of agitation accountable for any damage inflicted to public property in the course of agitation, Chief Justice Misra said that they have issued direction to curb and deal with the incidents of lynching by the vigilante groups and will do so in dealing with acts of vandalism by anyone. The court said that it would put out similar guidelines to curb and control the vandalism by mobs or by whatever label they are known. Reserving the verdict, the court asked the petitioner Kodungallour Film Society and the Attorney General to give suggestion for guidelines. Among the incidents mentioned in the court were -- the Maratha agitation for quota in Mumbai; the violence in protest by SC/ST groups following top court judgment diluting the provision of mandatory arrest under the The Scheduled Castes and Scheduled Tribes (Prevention of Atrocities) Act; and the agitation by the Karni Sena at the time of the release of the film "Padmavaat". "In India every week there is a major happening," the Attorney General regretted that nothing was happening and no action was being taken against the perpetrators of such incidents. On the "Padmavaat" row, the Attorney General without naming the Karni Sena that had led the agitation, said: "They openly threatened to cut the nose of lead actress." He asked if any civilised society would tolerate such a thing. No action has been taken against the person who handed down such a threat, he added. Buttressing his suggestion that SPs be made responsible and accountable to act in all such cases, Venugopal also pointed out that in Delhi ever since the Delhi Development Authority (DDA) was given the responsibility to check the Kanwarias, the incidents of vandalism have come down considerably. Appearing for the petitioner, advocate P.V. Dinesh said that "as nothing was happening it gives the impression as if there is a complete anarchy. Common man says there is no law and order within the country". He also said that what was happening projected India poorly overseas and urged the court to take some action, enforce some accountability on such religious groups or whosoever they may be.